No-one can say that the news is entirely surprising – after all, only a month ago, HMV warned that it was likely to breach its banking covenants in January following weaker than expected trading in the early part of the pre-Christmas period. Nevertheless, despite the predictability – even, perhaps, the inevitability – of this evening’s news, I detect a mood of sadness about HMV’s possible demise that hasn’t really been seen felt since the collapse of Woolworths in 2008. 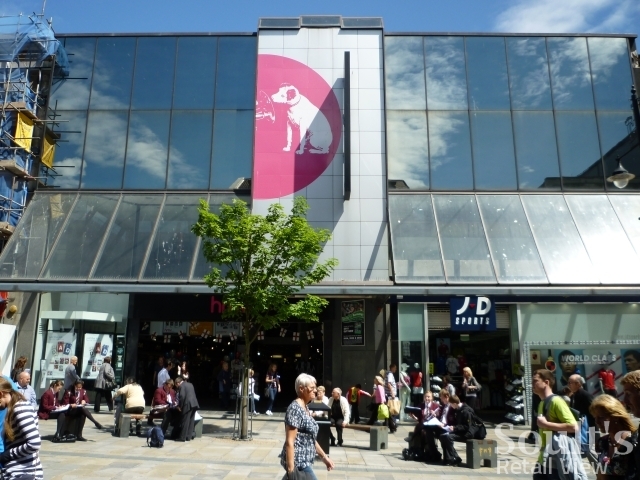 While now-departed chains such as JJB or Comet will undoubtedly be missed by some – and have certainly left unwelcome gaps in high streets and retail parks across the country – HMV, like Woolworths before it, somehow has a more special place in many people’s hearts. It’s been part of our childhood, or of our student days; a presence that we just assumed would always be around. Of course, as Woolworths’ swift and unseemly demise demonstrated, shoppers’ affection counts for nothing if it doesn’t translate into a profitable business – and, in HMV’s case, there are also parallels with the closure of Jessops only last week, which went from 187 stores to none in the space of barely 48 hours. 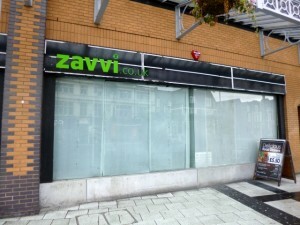 Looking around at HMV’s one-time competitors – names such as Zavvi, Andys, MVC, Our Price, Tower Records, Music Zone and Woolworths, all of them now gone – it’s clear that the business deserves some credit for being the last national entertainment retailer standing. As the way we consume entertainment has shifted – to iTunes, to Amazon, to PlayStation Store, to Tesco, and seemingly anywhere other than physical products on the high street – even mopping up market share from its collapsed rivals hasn’t been enough to offset the fundamental decline of HMV’s once core products – CDs, DVDs and video games – coupled with those products being available more cheaply elsewhere. 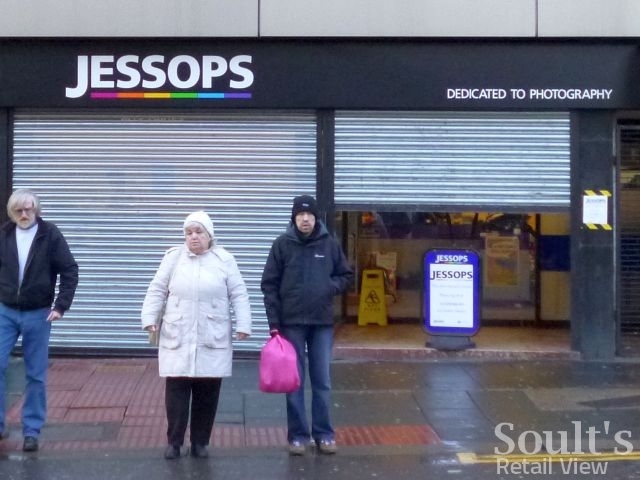 For Jessops, the challenges weren’t too dissimilar: a business that used to do a roaring trade in developing films and sellng entry-level cameras having to adapt to a new reality, where media is digital, hardware is bought for less online, and most people own a smartphone with a camera already built in. While few would envy HMV or Jessops having to navigate such a radically changing landscape, it’s clear that the businesses themselves haven’t always been on the ball. As I remarked a year ago, for example, HMV has rather struggled to build an identity for the digital age, filling the space vacated by singles with a curious mix of headphones, gadgets, NUFC shirts and cold drinks. 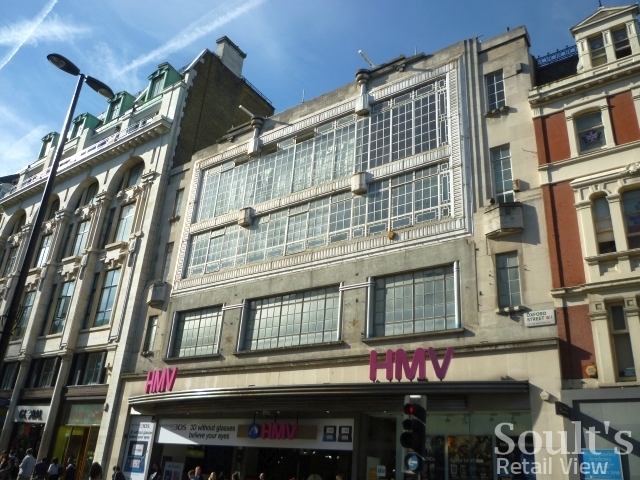 Rather like with Jessops, HMV’s biggest asset – namely, the enthusiasm of its staff, and their passion for and knowledge of its core product – hasn’t always been pushed to the fore, lost instead behind a medley of confused and sometimes garish messaging. Price, of course, is important, but it’s practically imposssible for retailers ike HMV or Jessops to compete purely on price with the online or out-of-town stores with their much smaller overheads. 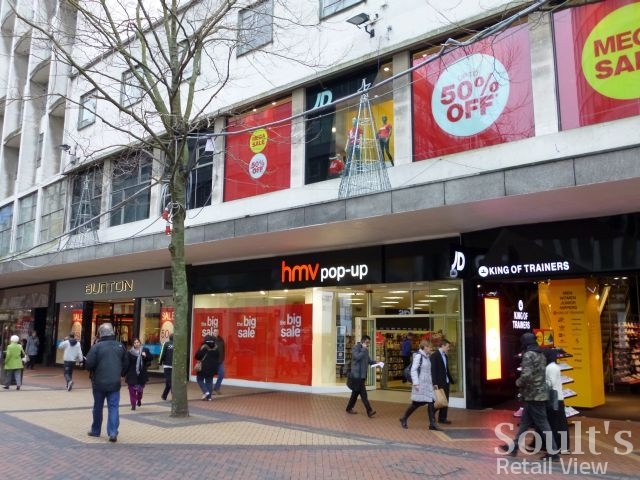 Instead, as I’ve suggested before, they must look to add value in other ways: identifying what makes them distinctive and different from their competitors, and giving customers an experience that they can’t get anywhere else, whether that’s in terms of superb service, exclusive events or instore theatre. On paper, at least, both music and photography lend themselves to an instore approach that inspires and delights the customer, and that can’t be readily replicated online. 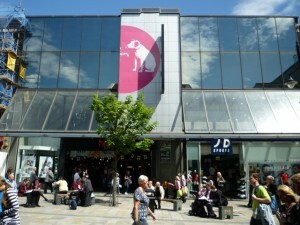 While it’s sadly too late to save Jessops, it would be premature to see HMV’s administration as marking the end. Many of the chains that collapsed last year – among them Clintons, Peacocks and Game – have survived in a slimmed-down form under new ownership, bringing with it, one must hope, new energy and ideas to address what didn’t work in the first place. After all, the economic downturn isn’t responsible for retailers’ travails: in most cases, it is merely giving a fatal blow to those that are already weak and under pressure, whether that’s due to the wrong product, dreary stores, a bloated estate, or the wrong decisions from on high. HMV, you might argue, is a bit of all those things. Tonight’s reports suggest that Deloitte will be appointed to run HMV in administration, inevitably bringing to mind the total shutdowns of Comet and Woolworths that both took place under Deloitte’s stewardship. Yet, while newer, nippier retailers have assumed Woolworths’ mantle as the variety store of choice – and others will do the same with Comet, both online and off – HMV feels rather more like the last of its kind. We would, surely, miss it if were to go, even as we now feel a pang of guilt at not shopping there as often as we might have done. Perhaps, with a new approach that’s as radical and constantly surprising as the changes taking place within the way we consume entertainment, a leaner and more relevant HMV could yet build a compelling role for itself. For the moment, however, we have to ask ourselves how much we care, and, if we do, do something about it. On Friday, as news of HMV’s 25%-off ‘Blue Cross Sale’ emerged, I tweeted “I bought all my Xmas presents from HMV instead of Amazon. If people value HMV on their high street, now’s the time to show it #backnipper”. Seventy-two hours on, that sentiment is no less relevant. 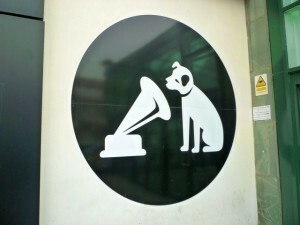 It may, of course, already be too late to save HMV – and not everyone will even consider it worth saving. That’s fine. However, for anyone who thinks the high street will be a poorer place without HMV on it, and who values the passion for music and entertainment that its loyal staff share, then supporting those stores and those staff over the coming days has never been more important. It’s no good missing HMV when it’s gone if we haven’t done our best to buy it some time at this critical and uncertain hour of need. 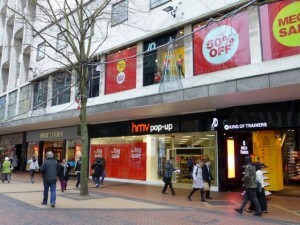 Next story As eight Midlands Co-op department stores face closure, what might the future hold? 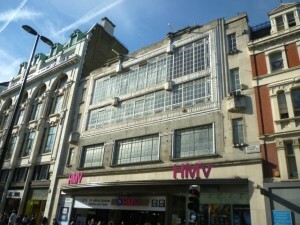 Interesting experience in HMV Westfield, Stratford City yesterday. Went to the counter with a handful of ‘blue cross stickered CD’s only to be told the 20% off offer had finished but they hadn’t removed the stickers because another offer was going to start in a couple of weeks! Discs went back ino the rack and I went back to Amazon! Thanks Carole – an excellent and thoughtful piece there! Zero guilt. Zero sadness. Rubbish shop. Made life difficult for all the independents that were actually interesting experiences when life was easy for them, failed to adapt or even acknowledge the digital revolution – with the arrogence to expand out of the failures of Fopp and Zavvi. As a business, they don’t deserve custom from generous spirited people like you, Graham. They didn’t behave in such a way when the times were good for them. Some sadness for staff but anyone with half an ounce of sense would have had their feelers out for last 18 months at the very least. Great post, Graham! It’s worth remembering that in 2012, over two-thirds of UK album sales were still on physical CDs – almost 70 million units. It’s obviously true that the market for singles on CD has dried up, but that surely can’t ever have brought in huge profits anyway given the low unit price. As you point out, I think HMV’s troubles are largely related to other retailers of physical CDs (eg supermarkets and Amazon) – the impact of iTunes and it’s ilk may have been overestimated by others. Your blog has made me think. And my personal conclusion is that HMV has no value to me and will not be missed. I say this on the basis that I don’t think I’ve been into an HMV store for at least a decade, possibly longer. As a teenager, yes it was useful, but not since. That said, I agree it’s a poignant moment and the news did make me wonder if we’ll have a high street left in a few years’ time.